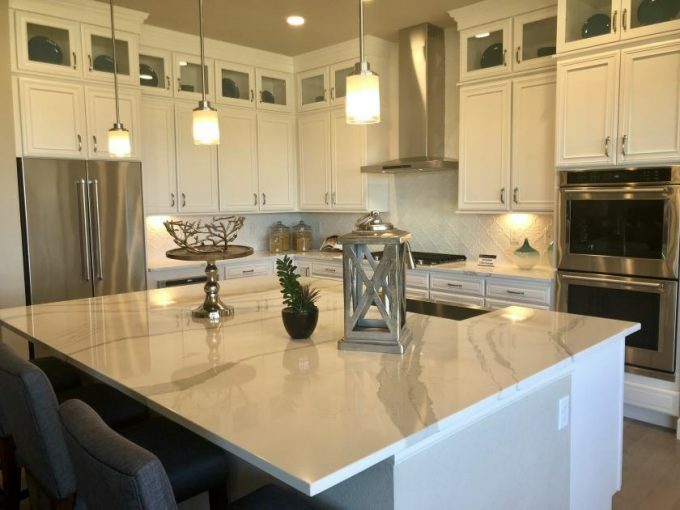 Shopping for a new home in Aurora, Colorado? You won’t want to miss a trip to the Whispering Pines neighborhood. Whispering Pines is a bit of a hidden neighborhood. You can easily miss it, if you don’t know where to look. Several home builders are currently building at Whispering Pines including CalAtlantic Homes. (a Lennar company) CalAtlantic is currently building three collections at Whispering Pines. Their Whispering Pines Estates Collection is an upper end collection of amazing homes. Not only are the homes in this collection stunning but the lots are pretty great too. Homebuyers have their choice of lots that range from one half acre to one acre. And many of the lots offer views. Base prices range from the low to upper 700’s. Being an upper end collection many great features are included in the base price. Homebuyers have their choice of five floor plans in the Whispering Pines Estates collection. Four of the floor plans are ranch homes. There is one model home onsite to tour. Be sure to watch the video below for a full walking tour of their Tolan model! There is no monthly HOA fee for the Whispering Pines Estates collection. Whispering Pines is part of a metro district. HOA services are paid out of the property taxes in the community. Whispering Pines is a beautiful community aptly named with it’s pine dotted hillsides. This community feels like a true Colorado community right in the middle of the city. The community offers ample open space, trails and a community pool. Whispering Pines is part of the highly rated Cherry Creek School District. To see these homes in person or for assistance in finding you new home in Aurora contact Courtney Murphy. Courtney is a Denver metro Realtor serving Aurora, Parker, Castle Rock and beyond.